This promotional piece highlighted both the city of Seattle and the creative passion of the student body at Mars Hill Graduate School. 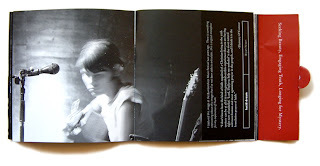 Collecting the work of three student photographers, I chose to go with a small, square book that would stand out. 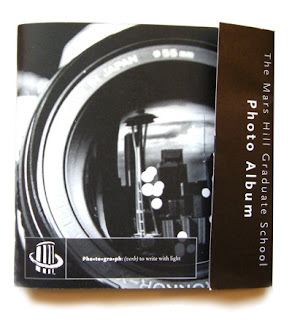 For the cover I superimposed one student’s photo of Seattle’s skyline with another student’s photo of her camera, illustrating the project’s scope. I'm currently the Chair of the Visual Communications department at Trinity Lutheran College.